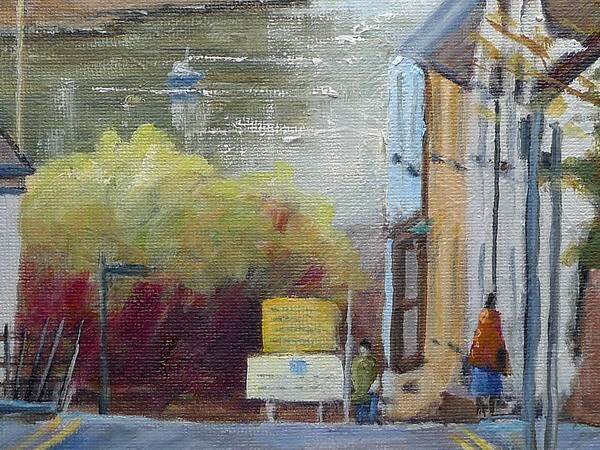 This painting of Quay Street is a view from the top of the street looking down towards the old quay and the Cardigan docks. 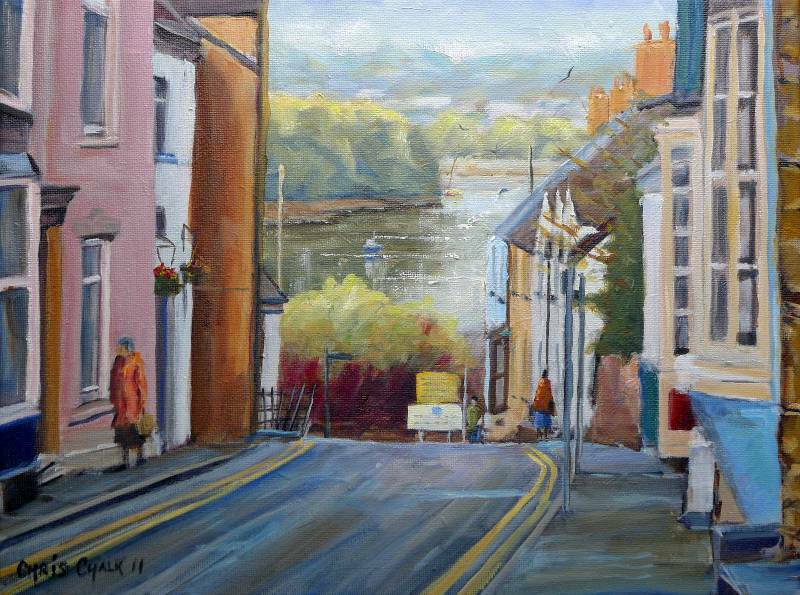 This is a busy narrow little street here in Cardigan and always bustling with life, and once had 3 pubs in it. 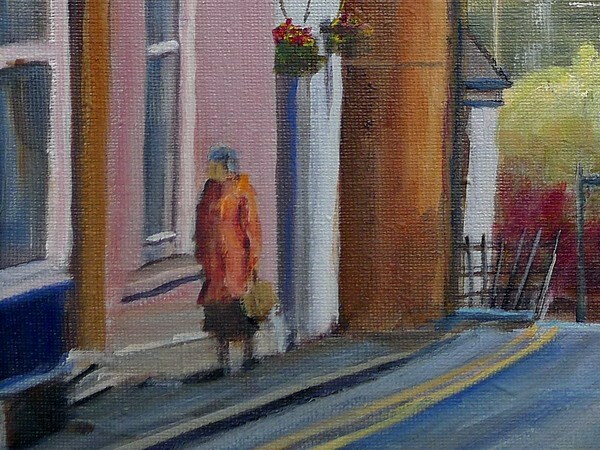 The loosely painted figure and the warm colours and tones in the foreground take the viewer gently into the painting.